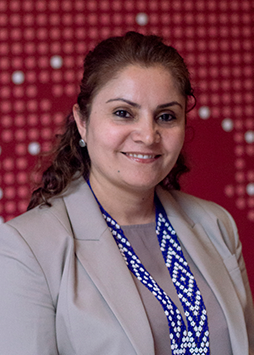 Mahbuba Mamadatokhonova (Global Change Leaders, 2018) is the National Gender Officer for Organization for Security and Cooperation in Europe (OSCE), Tajikistan. In May 2018, Mahbuba left her home in Tajikistan and travelled to Canada to complete Coady’s Global Change Leaders program – one of 25 women from 22 countries in the cohort. After seven weeks of intensive shared learning with facilitators and peers, Mahbuba is looking forward to using her experience to continue to support survivors of gender-based violence. “I would like to establish social entrepreneurship within women’s organizations for further employment opportunities for the women,” says Mahbuba, “the women’s organizations will be able to self-fund the resource centers to support survivors and victims of domestic violence. As part of International Development Week (Feb 3-9, 2019), and every day, we thank Mahbuba and all who work “together for gender equality”.